Chop Bitter Gourd into thin slices. Using a cup of water extract juice from Tamarind. Soak the Bitter Gourd slices in it for at least half an hour. In a bowl, combine besan, rice flour, chilli powder, cumin powder and salt. Mix well. Add water little by little to form a thick batter without lumps. Heat oil in a pan for deep frying. Dip the bitter gourd slices and coat them well with the batter. Deep fry until done. Make sure you deep fry in batches with little space in between each piece, or else they would stick together. This bajji is less hot. Include more chilli powder according to your taste. 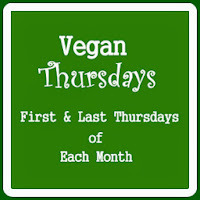 This is off to Vegan Thursdays. 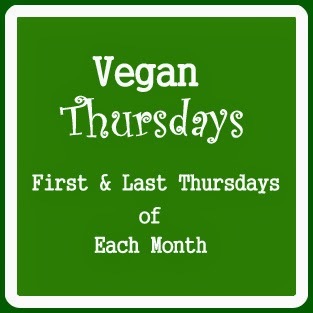 We are a group of bloggers who share only vegan recipes. 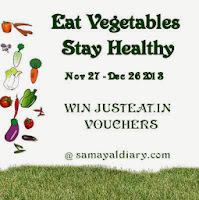 To know more or to join click here. 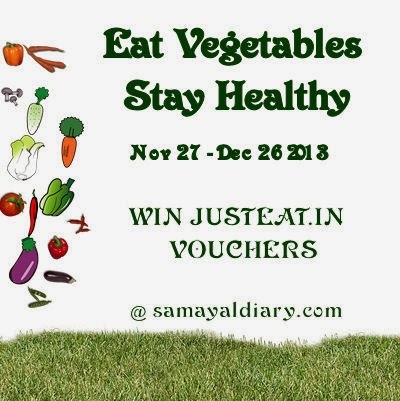 Participate in my own event 'Eat Vegetables; Stay Healthy' and win JUSTEAT.in vouchers. Very well goes with dal rice. Bitter gourd pakoda looks delicious and crisp. I love pagarkkai.. bajji looks really nice..
Great side dish with white rice......healthy one too!! 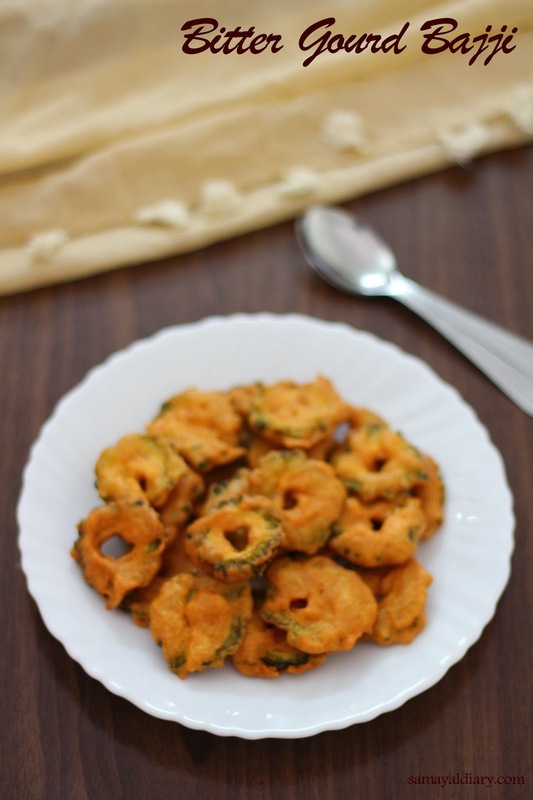 delicious bitter gourd bajji n lovely clicks!! !